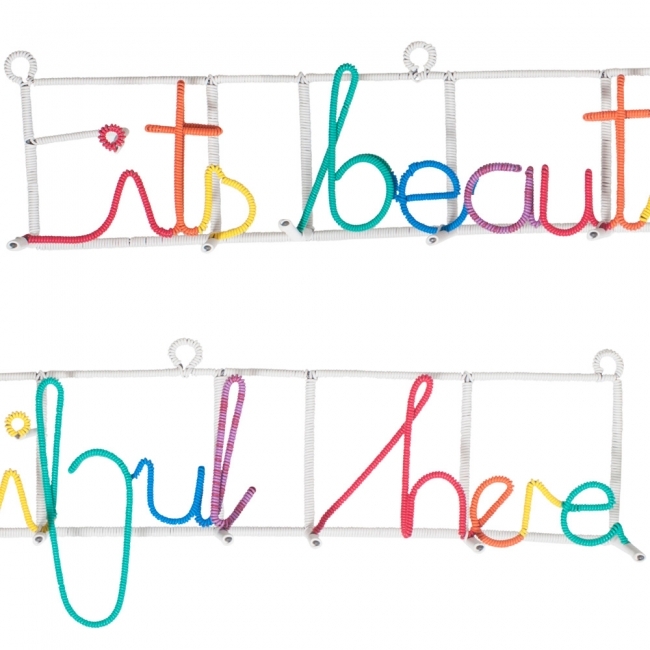 This coat rack is hand crafted from telephone wire in South Africa. 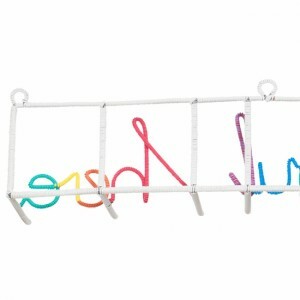 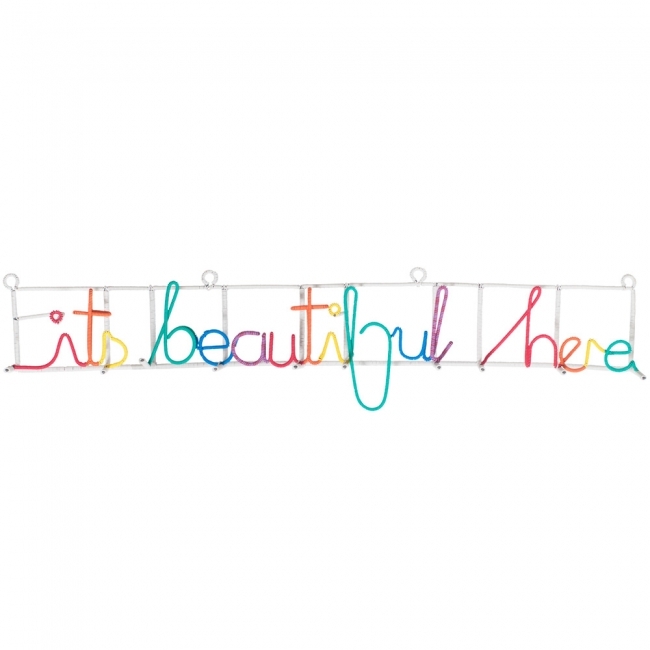 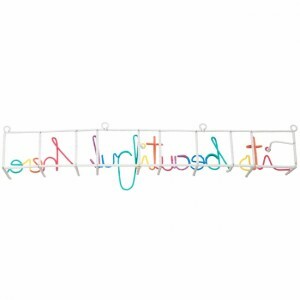 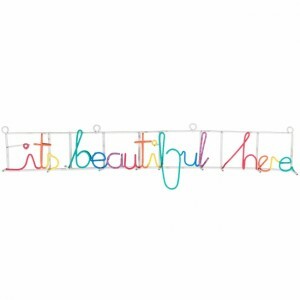 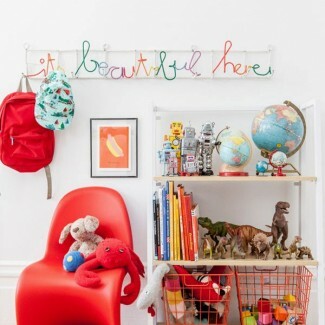 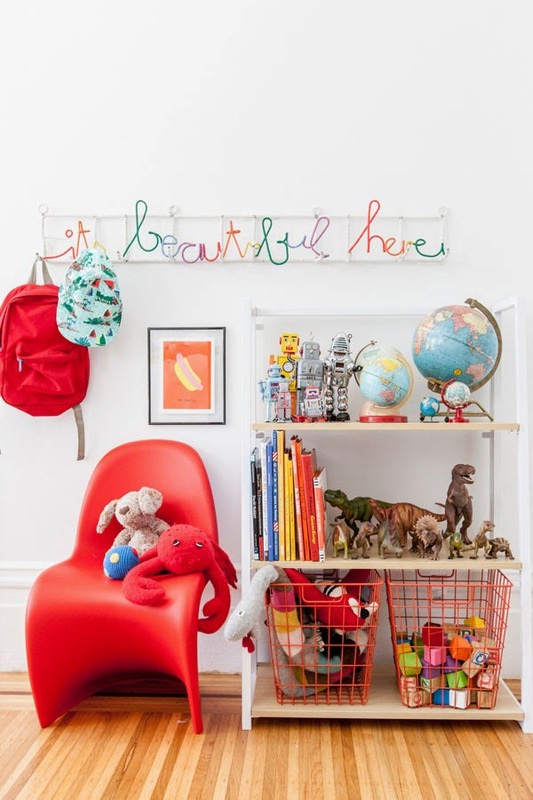 The rainbow coloured scripted words ‘It’s Beautiful Here’ float over a row of white hooks to create a striking wall piece in any room. 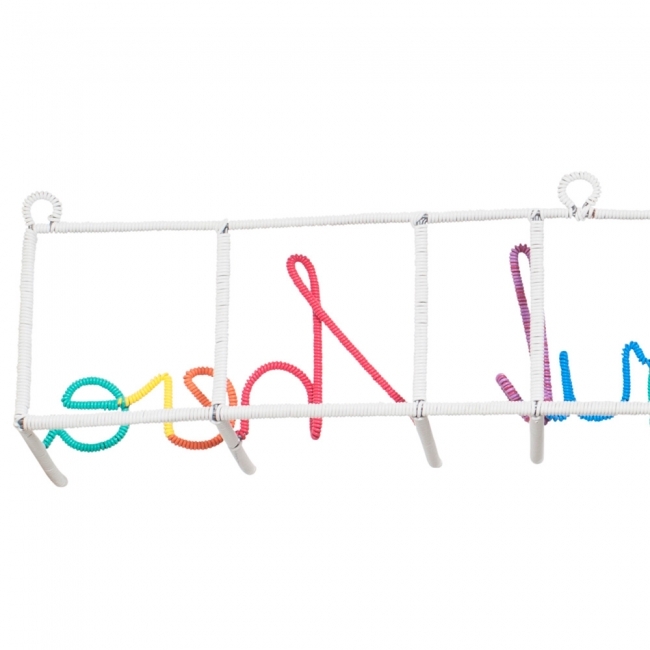 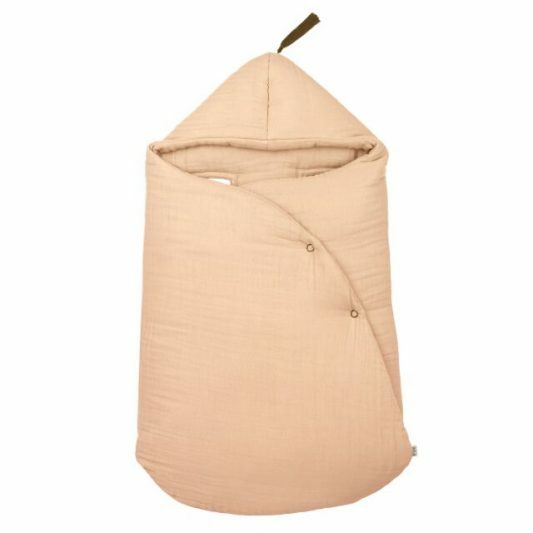 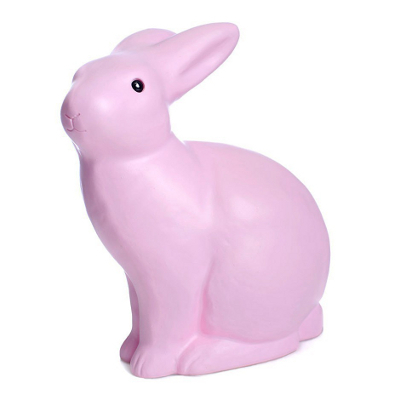 Stiff and sturdy enough to hold garments once securely attached to a wall. 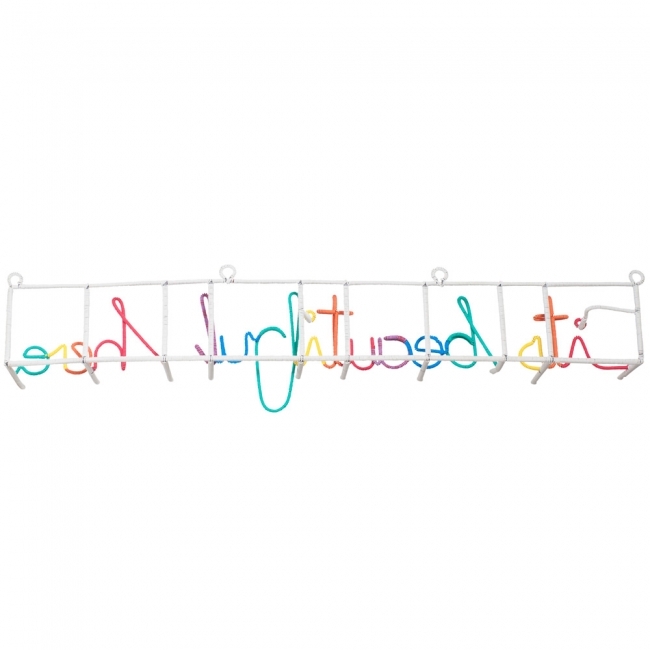 Measurement: Large – 87cm (L) x 15cm (H) x 11cm length of hooks from wall.